What Makes an Afghan Rug Beautiful? 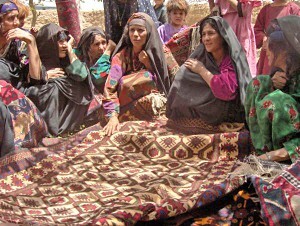 Carpet weaving history is like a caravan of nomads that roams through the dunes of the desert. You can spot them at a given point, but you don’t know where they are coming from or where are they going. Carpet weavers in the countries of the East have created a lasting legacy important for the daily life of common people and for the snazzy lifestyle of western societies. The increased requests for more carpets made by highly skilled handicraftsmen is the reason why these products have always been expensive. It takes months to weave a carpet following traditions that recall those dim and distant days when nomad tribes started to use carpets for their needs. They continue to weave carpets for internal purposes and as a way of income while buyers in other countries enjoy hand-knotted rugs as an ancient form of art. This craftsmanship was developed almost in the same way in all the countries of the East. Original designs were mixed with eastern and western influences, thus oriental rugs became more beautiful, richer and matchless to others. The same thing happened even with the tribes that now live within Afghanistan. Carpets made in Afghanistan are related to different ethnic groups that live within the borders of the country like Ersari Turkmen, Chub Bash, Kizil Ayaks and by Afghani refugees that live in Iran and Pakistan. There are even non-Turkmen ethnic groups that live in Afghanistan like Arabs, Uzbeks, Kirghiz and Baluchi. The rugs made by Baluchi are deemed as are some of the best pieces of nomad art. The most famous rugs are named after Afghan cities, Adraskan and Shindand and the tribes that wove them during centuries. Currently, carpets make up to 45 percent of exports in the country. Two of the most wanted rugs made in Afghanistan are Khal Mohammadi and Afghan Aqche or Aqcha. Both carpets are made by Turkmen groups that live in northern and central regions. The first type can be distinguished by dark red and blue colors and guls motifs. Meanwhile, the Aqcha rugs are in deep red and their primary models include flowers, the elephant foot, and octagonal roses. The exclusivity of small nomad rugs is that they include motifs and combination of colors that rarely can be found in larger rugs. Small ones are generally made for utility purposes or for prayers. Baluchi tribes are well-known for their hand-knotted carpets. The colors that they use tend to be dark blue, red, black and brown. Although that they are made by roaming nomadic tribes, these rugs can be found in major cities like Herat. 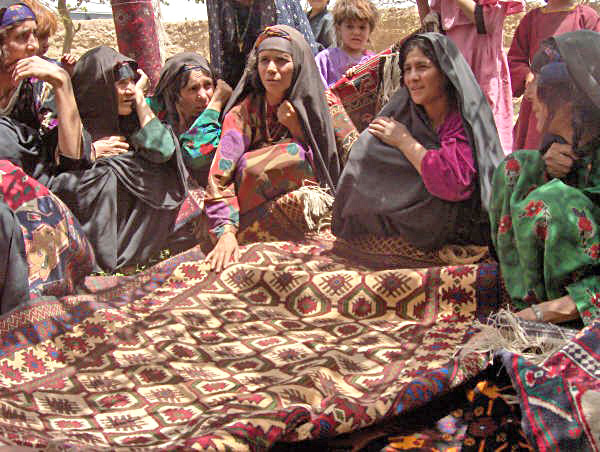 Currently, nomadic tribes facing competition from carpet factories in Afghanistan and other countries. It takes more than one year to Afghani carpet weavers for making a good handicraft. They use vegetable dyes, which fade and create the abrash effect, and oily sheep wool, but some tribes use even goat or camel hair. Every tribe or ethnic group has its own weaving techniques and designs that help to add more variety to their carpets and make them really wanted for the high-end market.